Avengers: Infinity War Review | A logistical masterpiece with a messy plot. "Avengers: Infinity War reminds us of the potential of the Marvel Cinematic Universe and subsequently fails to realise that potential..."
"The problem is in balanced, rewarding storytelling..."
Any good storyteller knows that it’s not enough to simply wield the components of a good fiction. If those components aren’t considerately stitched together then the story will never engage its audience. Avengers: Infinity War reminds us of the potential of the Marvel Cinematic Universe and subsequently fails to realise that potential because the promising components that it wields aren’t assembled with any regard to good storytelling. One great storyteller was Leo Tolstoy, who suggested that the best literature is always one of two stories. The first is that a man goes on a journey. The other is that a stranger comes to town. Avengers: Infinity War is both. The journey is undertaken by a group of superheroes in order to prevent the stranger coming to town. The stranger wants to destroy the world, naturally, because the previous Avengers villains wanted the same thing and one of Marvel’s offences is that progression means bigger. You can’t get bigger than destroying the world and so every villain ends up wanting the same thing. The name of the stranger is Thanos (Josh Brolin), who you may already be familiar with because his presence here has been preceded by a number of slight appearances in Marvel films hitherto. Thanos is not the problem, despite his stale ambitions. Thanos is actually one of the more captivatingly realised villains in the Marvel roster, although his competition is underwhelming. The problem is in balanced, rewarding storytelling, which was always going to be the principle concern in a film like this. That there really are no films like this is arguably the source of that concern, considering there is no precedent for a mega-budget amalgam of seven or so mega-budget franchises, with too many central characters to bother counting. 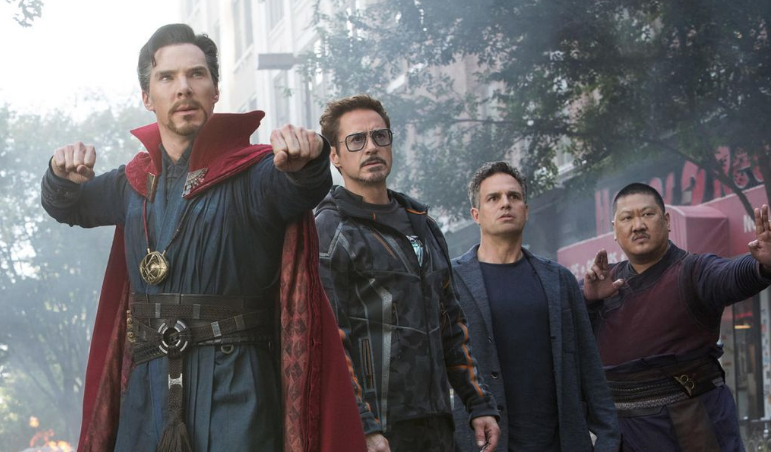 That Avengers: Infinity War falters under the weight of its ambitions isn’t surprising. It would have been astonishing if it hadn’t. It’s nonetheless an impressive accomplishment in many ways, not least in the manner in which it balances the overwhelming number of characters that occupy it. But the Joe and Anthony Russo, who direct, have demonstrated such wonderful instincts in regards to the MCU in the past that the absence of those instincts in Infinity War are perhaps more glaring. Consider Captain America: Civil War, in which the narrative was a culmination of elements from a number of previous MCU plots in a way that a lot of Marvel films, including Infinity War, aren’t. The detractors of these films have a point but they also miss the crucial point – the potential of the MCU to rival television as a long form narrative medium. Those detractors may highlight that Marvel stifles its own potential by adopting a ferociously commercial approach to filmmaking. A few films have slipped through the gaps; Guardians of the Galaxy (but not its dreadful sequel) and the second two Captain American Americas. Infinity War doesn’t. It’s so crowded that the Russo’s don’t have the time to consider the wealth of narrative material that lead up to this film. Understandable but regrettable. Without that consideration, characters and filmmakers alike make decisions that ring false. The sleight of hand that the Russo’s manage impressively is that colour and light burst out of the screen so energetically that Infinity War is always engaging even when it is poorly executed. That frenetic pacing will undoubtedly attract audience members for repeat viewings, as digesting everything that transpires is challenging. The ending will have a similar effect, although it will remain frustrating until Avengers 4 next year either justifies it or augments the dissatisfaction that it engenders. 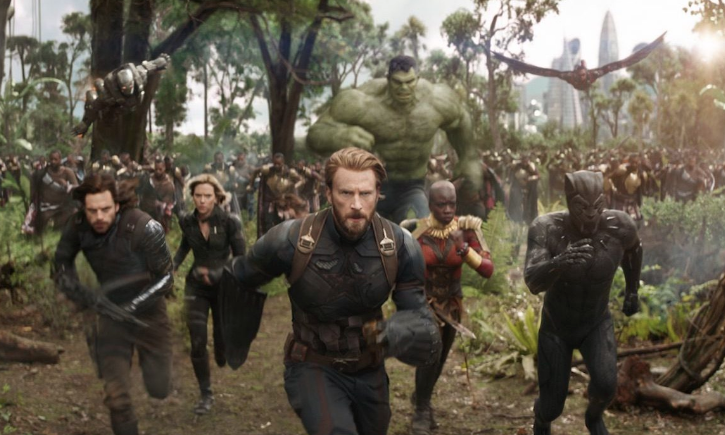 The principle achievement of Avengers: Infinity War is logistics, not storytelling. It is a disappointing third Marvel film from the Russo brothers – more a product of being a product than an exception to the commercial rule. The Winter Soldier and Civil War were good films despite the system within which they were created. Infinity War is the archetypal outcome of that system.